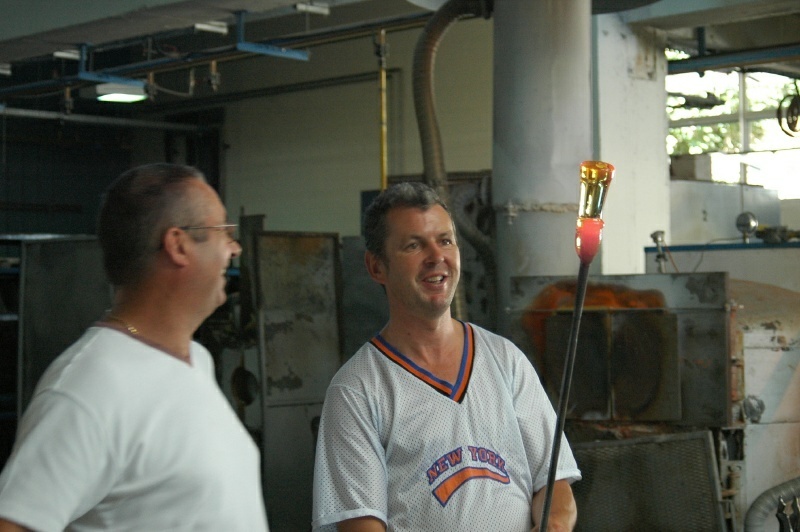 We visited the Waterford Crystal factory on the August bank holiday Monday, so the factory had only a skeleton staff on hand to perform for the tourists -- which I think was actually a benefit to us tourists! The factory's bustle was low, and the workers were probably the most showman like. These two guys certainly were showmen. Notice the New York Mets shirt on the fellow in the center.